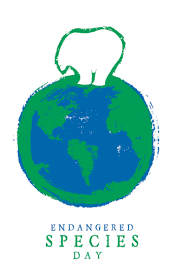 First approved by the U.S. Senate in 2006, the purpose of Endangered Species Day is to expand awareness of the importance of protecting endangered species, to promote habitat conservation, to share success stories of species recovery, and to highlight the everyday actions people can take. On May 17 and throughout May, churches, conservation organizations, schools, zoos and aquariums, parks, wildlife refuges, botanic gardens, and other groups throughout the country will participate in events and activities to celebrate this national day of recognition. Click here to find resources including a bulletin insert, Christian Education Resources and sign-on letter to Congress.